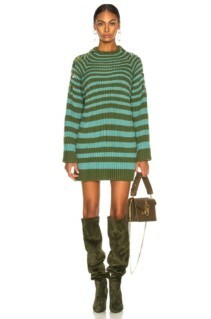 For a simple way to stay warm and on trend this season, opt for chic wool dresses. That doesn’t just mean knitted jumper dresses either, though they are a great option. There’s an amazing collection of wool dresses available for autumn and winter this year. Many of which you may have not even realised were made from wool at first glance. Get your wardrobe stocked with these cosy, versatile pieces for a practical and instantly stylish winter. 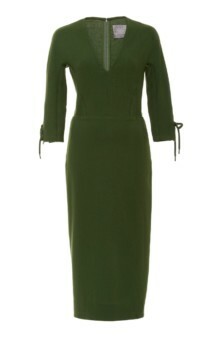 Thanks to an abundance of amazing wool dresses, choosing outfits for the office this winter will be an effortless task. 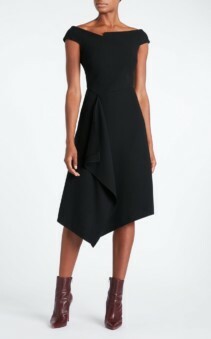 Take the brushed wool blend midi dress by Victoria Beckham for example, this dress is absolutely perfect or the office. 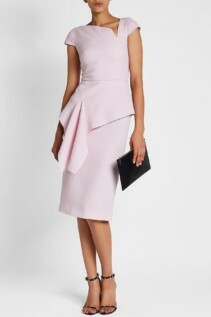 It’s expertly tailored from shoulders to hem and subtly highlights your curves with a slim fit. Military-inspired features such as the shoulder epaulettes and pocket flaps serve to enhance it’s uncomplicated, yet formal style. This dress can be worn with ballet pumps or heels and is excellent for layering. The wool, tweed ivory and navy dress by Boden is also a top contender for your work wardrobe this winter. The puppytooth tweed is beautifully enhanced by the red and navy ribbon trim on the sleeves and defined waist. 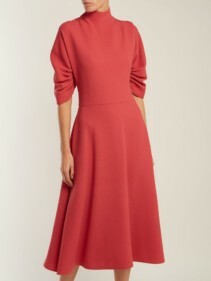 It adds a subtle hint of colour and cleverly elevates the simplicity of the dress. The keyhole detail on the front gives it a youthful and somewhat playful element too. Whatever you have planned for your well earned weekend, these wool dresses are the ideal outfit choice. From an impromptu lunch with friends to a long-awaited night out, there’s a dress to suit your needs. For more casual affairs, opt for the Hakari ecru dress by Isabel Marant. 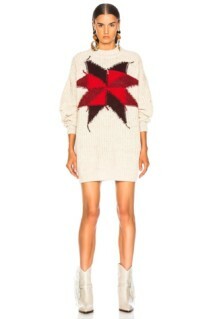 The chunky knit fabric and striking intarsia front design will ensure your day is spent in comfort and style. The rib knit trim gives this garment a defined finish which looks fantastic styled with heeled ankle boots. Should your weekend plans be exclusively of the evening variety, try the cady strapless mini dress by Kalmanovich. 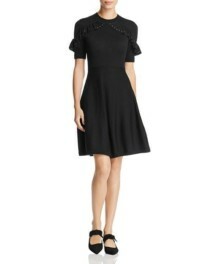 This stunning wool dress incorporates some energetic detailing with the inclusion of a polka dot printed tulle insert. The dramatic mix of dark fabrics is wonderfully juxtaposed by the lighthearted sweetheart neck with a cutaway front. 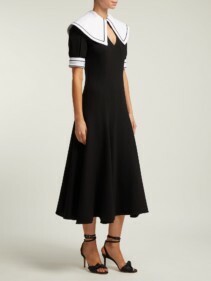 This dress is a joy to behold and to wear. It’s the ideal choice for the upcoming party season.